One of my college friends took her very first vacation here in the Philippines so she grabbed the opportunity for us to have a reunion. At first, I wasn't aware that it was her treat. I was a surprised 'bout that ^-^. 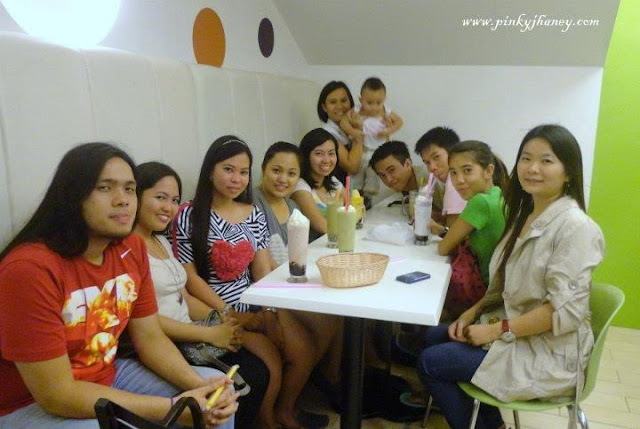 It was Sunday eve and there were lots of people strolling at Trinoma so our group decided to eat at SM North. We had our dinner at Hainanese Delights. It was my first time to eat here so I was a bit excited to taste their food. Since I couldn't decide on which to order for myself, I had their specialty Hainanese Chicken Delight (120). It wasn't bad but I couldn't say I liked it. My friends liked it though. Their serving was worth the price. I wasn't even able to finish mine. Next stop, we had a doze of milk tea at Bubble Tea. 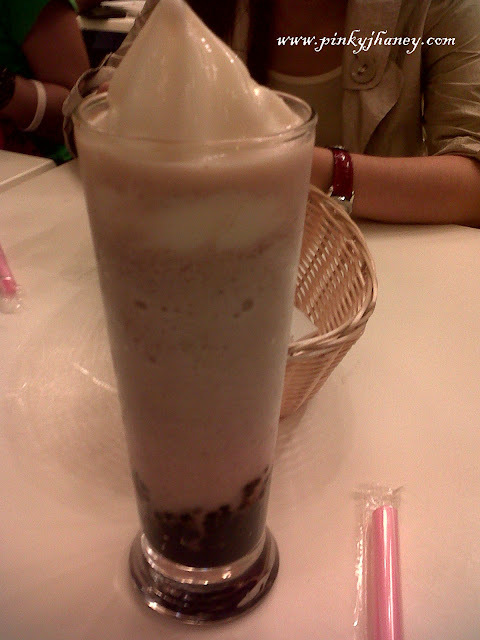 I ordered Azuki Red Bean Milk Shake (145). It was my first time to try this flavor and I really liked it. I could've requested it to be less sugar since I'm not into sweets. Otherwise, I liked how the red bean blended with the milk. 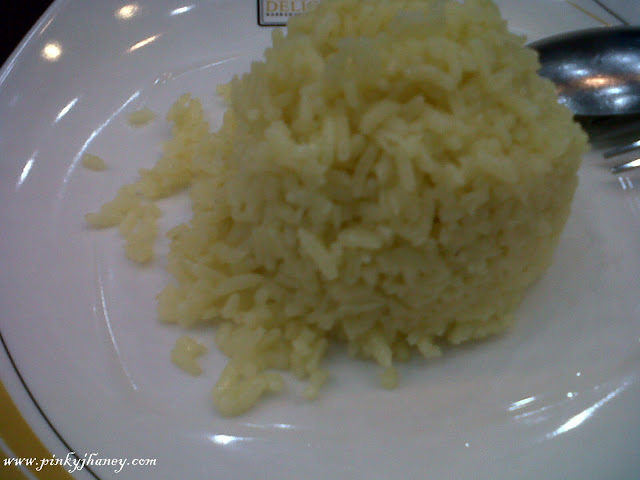 I will order this again but with less sugar. Here's our group shot. Some were not able to make it because of their busy schedule and some are already working abroad. We really had fun and after drinking our milk teas, we called it a night. Some of us went home but some had a sleepover with one of our friends. Since the location was just near our village, I opted to go with them. During our sleepover, we watched DVDs, ate some chips, canned foods, ice cream and 2 of us drank a bottle of beer each. I really enjoyed their company since I never had a chance to have a long bonding time with them when we were in college because they are from another group. During school days, our class were divided into 4 groups and each group were assigned to different hospitals and communities (we are nurses =)). So that means you'll be really close with your groupmates. I didn't have any groupmate here since most of them are already abroad. 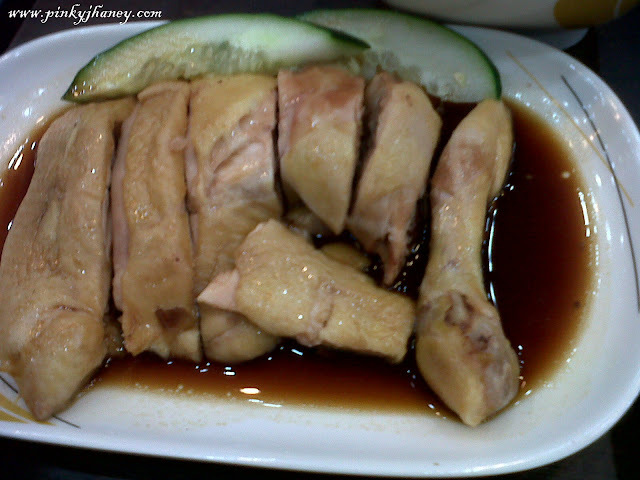 I've tried the hainanese chicken delight and the fried version of it. Pareho lang pala lasa. hehe! Kala ko may something special dun sa fried wala pala. LOL. I haven't tried their fried version pa. Yes, ang sarap talaga maging estudyante. Wala masiyadong iniisip kundi makapasa sa mga exams unlike ngayon na mas maraming priorities.